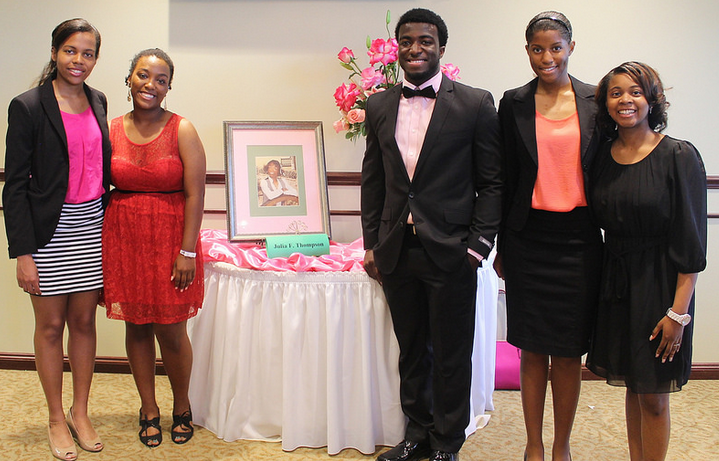 On Friday, October 9, 2015, Julia F. Thompson, Inc. hosted The 15th Annual Pink On The Green® Golf Tournament. 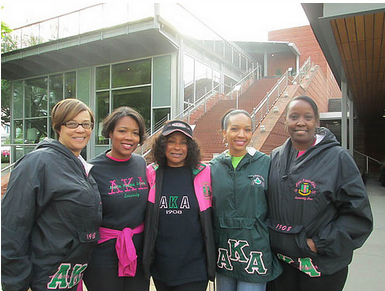 The tournament was an outstanding success. 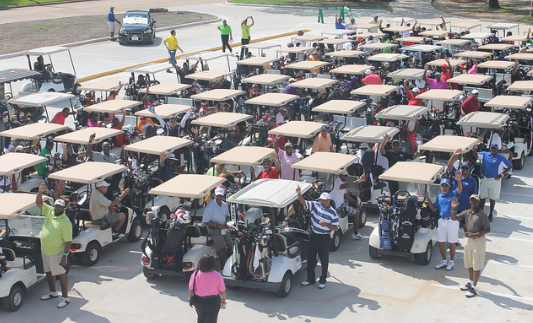 There were over 200 golfers who enjoyed a great day of golf at Quail Valley Golf Club. 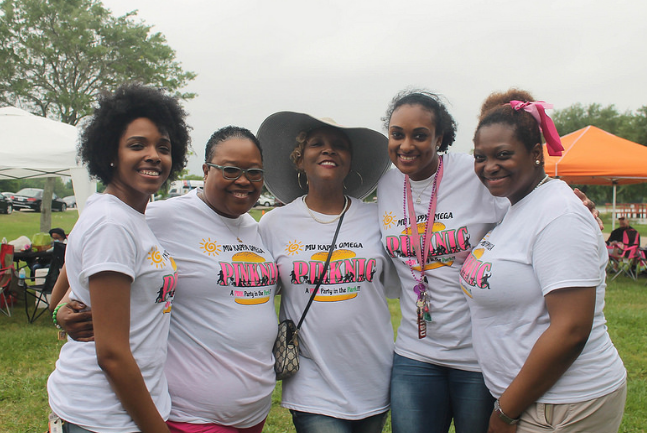 In addition to golfers, there were over 100 volunteers on hand throughout the day that provided impressive hospitality that only Mu Kappa Omega members are known for. 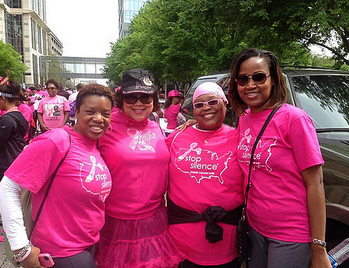 The 6th Annual Stop the Silence Breast Cancer 5k Walk/Run was held on Saturday, April 25, 2015 at Discovery Green Park. 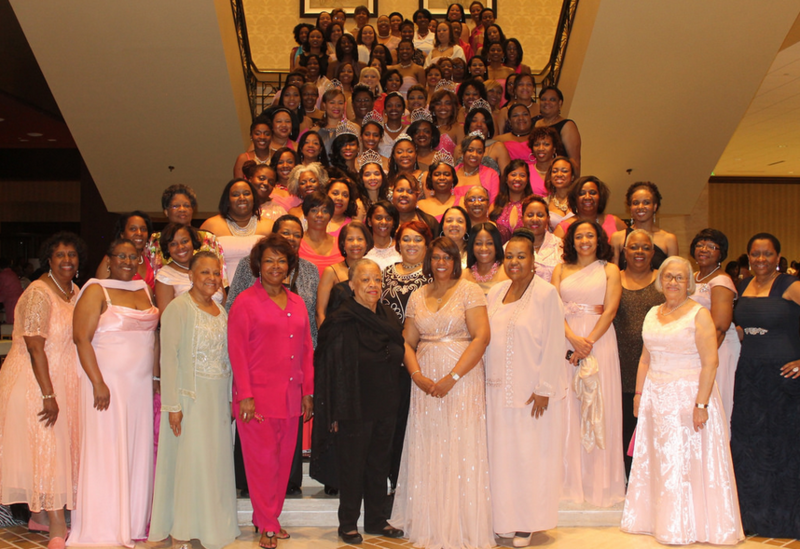 Sisters Network, Inc. is the only National African American Breast Cancer Survivor-ship Organization and is committed to increasing local and national attention to the devastating impact breast cancer has in the African American community. 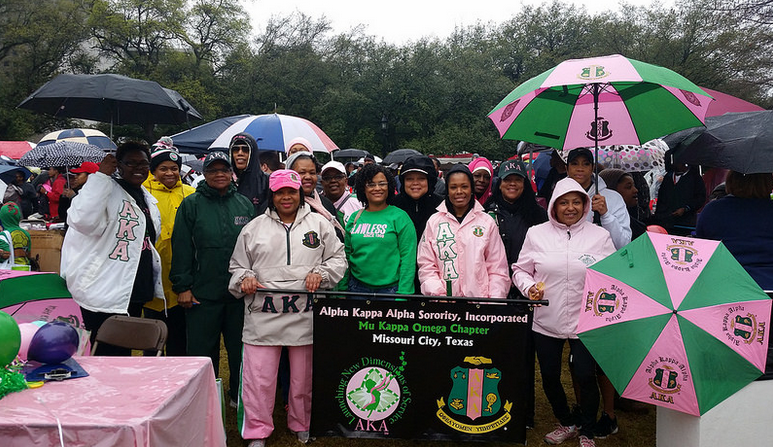 On a cool and rainy day, Sunday, March 8th, Mu Kappa Omega Chapter of Alpha Kappa Alpha Sorority, Inc. came out to make a “Global Impact on Aids.” This year under the new dimensions of service model, Mu Kappa Omega had a total of 76 members and friends to sign up for our team for AIDS Walk Houston. 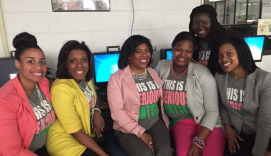 The first ASCEND meeting was held at Willowridge High School on March 7, 2015. 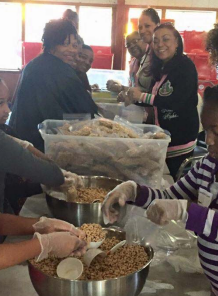 Students participated in a fun and entertaining ice breaker, gained substantial knowledge through workshops and were assigned a take home assignment. 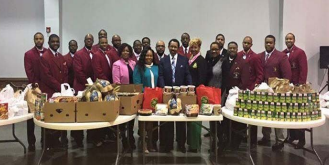 On Sunday, March 1, 2015, 65 Mu Kappa Omega members joined chapter president Madelyn Nunn during the 10:00 a.m. worship service at her home church, Windsor Village United Methodist Church, which is under the leadership of Senior Pastor, Kirbyjon H. Caldwell. 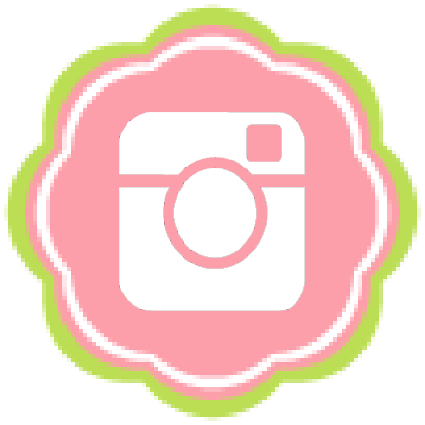 On February 21, 2015 a great time was had by all! 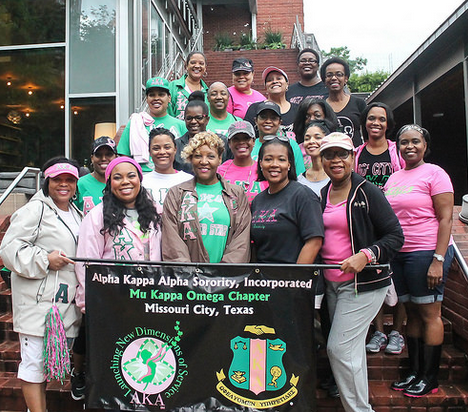 Mu Kappa Omega hosted its annual Membership Reactivation Breakfast at the Quail Valley City Centre in Missouri City, TX. 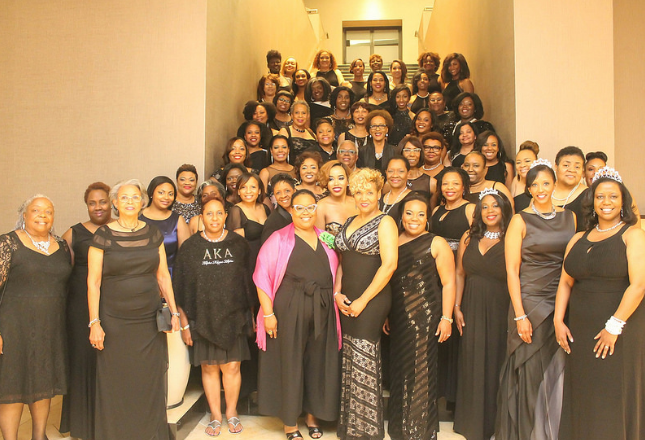 In attendance were 177 chapter members and 43 guests that dined on a delicious breakfast that was planned and prepared just for their delight. 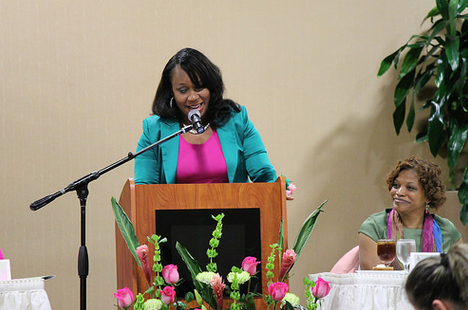 The Houston Metropolitan Area Chapter(HMAC) Founders’ Day 2015 Celebration was held on January 31, at the Power Center. 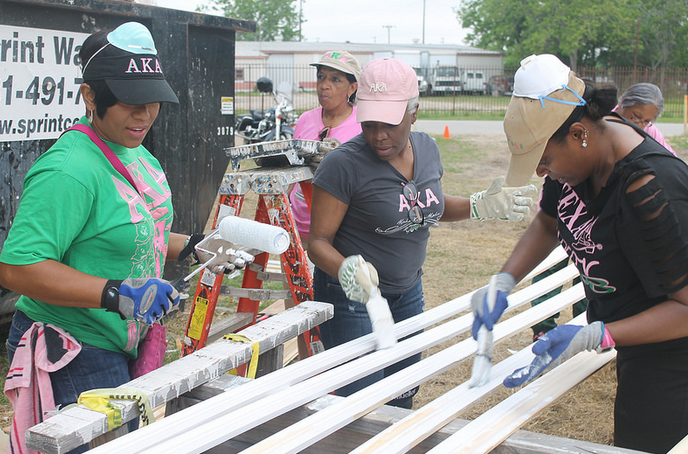 Mu Kappa Omega Chapter members showed in numbers. 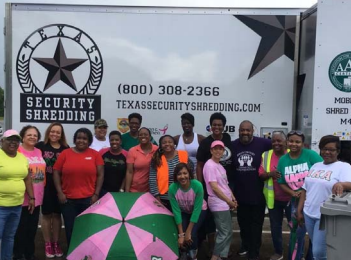 The chapter had 162 members in attendance including 2 golden members, Mattie Ford and Cheryl Lugo who were honored with this year’s golden honorees.